The $260 billion online advertising industry depends on consumer participation, but consumers are completely powerless to control their data exposure and lack the ability to negotiate fair compensation for their data. AdSwapper has developed an information gatekeeper solution that empowers mobile users to gain control over the data they privide advertisers and get paid for its usage. Today, we empower users to gain control over their data and claim their share of the mobile advertising industry by paying them for the ads they see in apps and on websites. 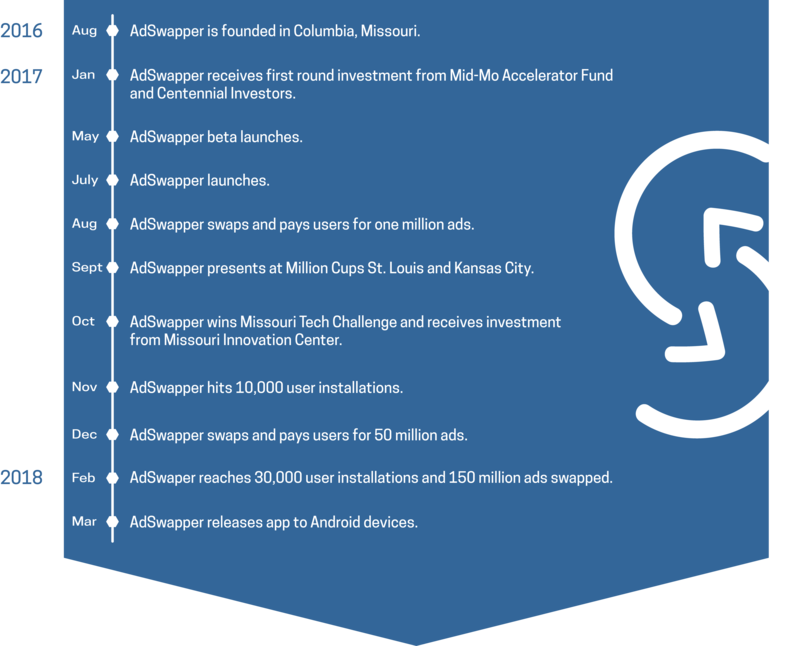 Tomorrow, AdSwapper aspires to revolutionize the ad industry as we know it by establishing user compensation as the industry standard. Through this vision, we hope to create a more sustainable advertising environment, bolstered by cooperative and receptive users who are more willing to experience ads. AdSwapper is currently available as a free iOS web app and as an Android app. Once downloaded, AdSwapper runs transparently on the users’ phone, allowing them to control what data is exposed to advertisers and which ads are being shown on the phone in apps and on websites. This enables advertisers to directly bid on the users’ ad spaces based on first-party user data, thereby creating a direct channel between advertisers and users. In return the users get paid a share of the ad revenue for every ad that is shown on their mobile phones. Users can check the AdSwapper dashboard to see how many points they’ve earned from their ads and are able to cash out once they reach 500 points, worth $5. AdSwapper offers more than twenty electronic, safe payment options including Visa, Amazon, and iTunes eGift cards as well as PayPal payments.